Our mission is to provide you with excellent customer service and competitive pricing on all domestic and international flights. Thomsons Travel sets itself apart from other agencies as a consolidator for many major airlines, such as Air India, Emirates Airlines, Etihad Airways, Jet Airways, Kuwait Airways, Qatar Airlines, King Fisher Airlines, Indian Airlines and many more. We strive to continually build new relationships with more and more airlines daily in the pursuit to make your journey more affordable and enjoyable. 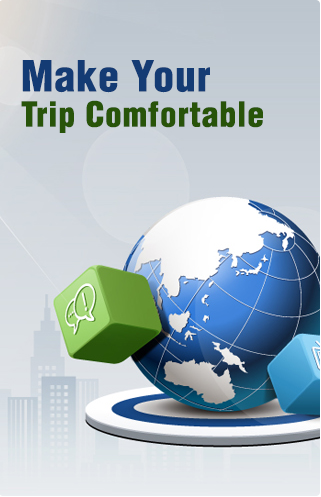 With over 25 years of industry experience, we know how to make your trip comfortable, easy and our priority. Give us a call and find out for yourself how our professional and trained staff can meet all your travel needs.